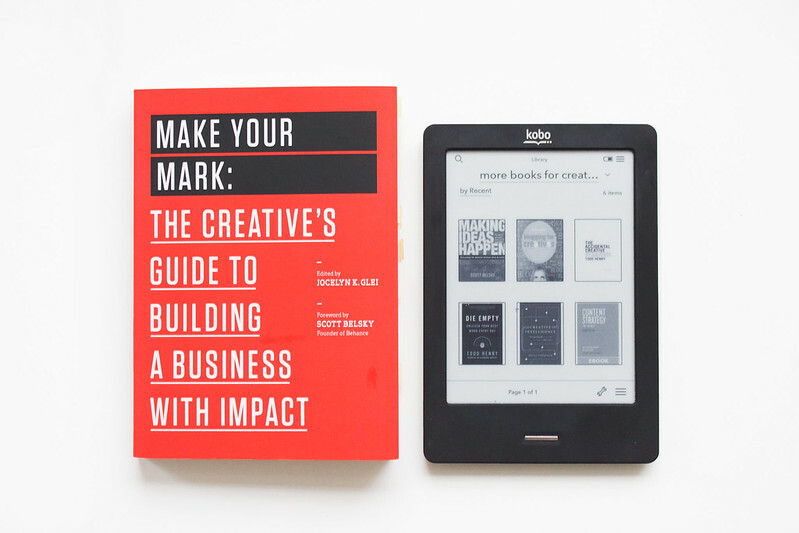 A while back I shared 18 books for creatives and since then I have discovered quite a few more. Wow I've never read any of these but I think I could definitely benefit from some, thanks for the recommendations! Nice list. Thank you for these Sophie, definitely going to invest in a couple. I love the idea of these books but I have to admit that I never get much use out of any of them. There is the rare few that I fall in love with and flip through any time I'm feeling uncreative, but I just haven't been able to get into the feeling of these. Am I the only one? After almost 3 years using Kindles, I've finally started using it for books (I more of a paper book type of person). One thing I'm loving, are all the suggestions I get after reading a book. I've discovered so many great books. I'm already after The Art of Social Media, but you've made me want Make Your Mark and Content Strategy For The Web! I really love these sorts of posts. Thank you - and I definitely will!